The Foundation for Youth Support of Lunenburg and Queens Counties was incorporated under the laws of Nova Scotia in 1990. It is a not-for-profit foundation, which provides resources for the Youth Support Program. It provides funds for travel to weekly meetings and events, recreational activities, for those in special need, and promotes the aims and objectives of the Youth Support Program. Over the last few years weve discovered that the direct involvement of Board members with the teens has its own rewards and benefits. For the Board members, it puts a face to whom were helping. To the teens, they meet new role models and through this interaction, a mentorship program evolved. The Foundation performs a very vital role in offering services, activities and alternatives to youth throughout the three summer months. School is out and one-on-one counseling is not as readily available to the youth as it is when the schools have counsellors on-site. It also extends the sense of family that most of the youth have developed with the others throughout the year through the summertime period. Youth Support started 15 years ago when four teens were arrested for possession of drugs in the parking lot of Parkview Education Centre in Bridgewater, Nova Scotia. At the time, there wasnt anything for teens in this situation, outside of being criminally charged and, from a legal point of view, dealing with the consequences of their actions. After fifteen years and approximately 1,500 teens, Youth Support in Nova Scotia has become a role model to other parts of Canada. Counseling by itself doesnt help fill the void of after school and weekend free time. Many of the youth we work with feel they are not part of the mainstream school crowd and the ones that attend group meetings make a clique of their own. Youth involved in special projects become an extended family. Every year we have recreational activities such as canoeing and kayaking, beach days and beach sweeps (contests to see who can collect the most garbage off a beach), weekend retreats, whale watching, fishing, and other boating excursions. Weve had occasional forays into the nearest city (Halifax) to special events (i.e. : Tallships2000 Parade of Sail and the Sportsplex for swimming). 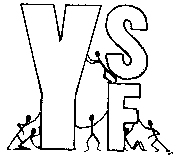 There are two annual events held for youth. One is an annual picnic where all Youth Supporters, their closest friends, family members, and Foundation Board of Directors are invited. The second event is an awards ceremony. These awards are for Youth Supporters who have shown progress in their recovery, participation in Foundation programs and/or in how they got along in school the previous year. This is sponsored by the Foundation, and awards are also given to organizations and members of the community who have shown support to Youth Support.In years past it has been held at Province House and the past four years we have held it at a local resort, so it is also a recreational outing. We feel that its important for the youth in recovery to also be involved in the community at large.Volunteering is encouraged (i.e. : animal shelters, church and school groups). This sets a pattern that hopefully follows them into adult life. If the Youth Supporter wants to join a sports team, have a tutor or participate in workshops outside of Youth Support and cannot afford costs incurred, the Foundation pays. During the summer of 2000, the Foundation sponsored four Youth Supporters to attend a week at a leadership training camp. After talking in the group about Hurricane Mitch that hit Central America three years ago, Youth Supporters agreed on adopting their own charity. Casa Alianza (Covenant House) in Teguchigalpa, Honduras was picked. Their organization works with street kids in urban areas of Central America, and Youth Supporters thought it was a great idea to aid kids that were less fortunate than they. Three tons of summer clothes and plush toys were collected, and with participation of local elementary school children dressed as angels, went Christmas caroling door to door. This event raised $1,300 dollars for direct aid to street youth. The Foundation, being a not for profit charity, depends on fundraising to support these extra  curricular activities, and the youth are encouraged to participate in fundraisers and to organize and hold some on their own (with supervision). Four years ago the Foundation Board discussed the need for a large, self-sustaining, year- round project and the Farm Project was born. With the generous donation of the use of a farm and land in a centrally located rural area of Lunenburg County, the work started in March of 1998. Since then it has become our most ambitious and high profile action to date. Oxen plowed ground that had never been used and the first season saw three tons of stones and rocks picked. Adult volunteers were found to teach different aspects of organic farming. Soil blocks for seeds were made in the shelter of a barn while it still snowed outside. This was the first of many mentorships formed. Over the next three years, mentorship training has taught youth various skills from companion planting and insect control, to twig and log furniture manufacturing. Theyve learned to dry herbs, make pickles and preserves and how to retail their flowers and produce. Since we spend many hours at the Farm, they learn how to cook nutritious meals and everyone takes turns at kitchen duties and some have learned comparison-shopping skills. The project has had success in team building with the youth involved, and each year has seen 40 plus youth working there. They successfully have built a 60-foot long greenhouse from the ground up and installed an irrigation system, which transports water to the fields and greenhouse. Another greenhouse was taken apart and transported 60 kilometers to the farm. This all may sound like drudgery and manual labour, but it hasnt been. Gardening and working outdoors has a very therapeutic and healing quality. Working side-by-side on your knees while weeding gives one a great opportunity to get to know the person next to you! Any personality conflicts can usually be resolved over a meal or relaxing at the beach, which is frequently done during summer months. Delegating chores gives each one a responsibility that they usually take great pride in. Most Youth Supporters involved in this project have agreed that it is like family to them and that they look forward to going. Individual birthdays are celebrated, and each year weve celebrated with a Thanksgiving and Christmas dinner there. There are days in winter we go tobogganing and have a bonfire. Each year at the Awards Ceremony, Youth Supporters participating at the Farm are presented with a certificate and Golden Trowel. As of this writing 02/01), plans are underway to secure funding for a working, residential farm that would also serve as a safe house for our youth in crisis. In a pilot project with the Community Health Boards Community Mentorship Initiate, the Seniors Youth group from Youth Support has been linked to a family support center. Adult mentors from the community are providing on-going mentoring and support to the senior youth. The Seniors have received mentor training and are providing mentoring to younger children connected to the center. During the winter of 2001 they have also participated in retreats, the Bully Busters Project (developing holistic programs to address bullying in the schools and community) and self-esteem workshops. The primary objective of this pilot is to help each young person develop a sense of value and self-worth while providing meaningful service to their communities. Only then can they truly understand that they have a personal role to play in making the world a better place in which to live. Its evident among the adolescents we work with that they relish challenges and enjoy being trusted with responsibilities. They are eager to learn and to please. We adults need to remember that they are children, and that our work and association with them should always be tempered with love, respect, support and patience.